So you’re learning about espresso and came across this weird thing called a ‘Naked Portafilter’ or a ‘Bottomless Portafilter’ and you wanna know what it is. Well you’re in the right place, friend, we like espresso drinkers here. So, what is a naked portafilter? 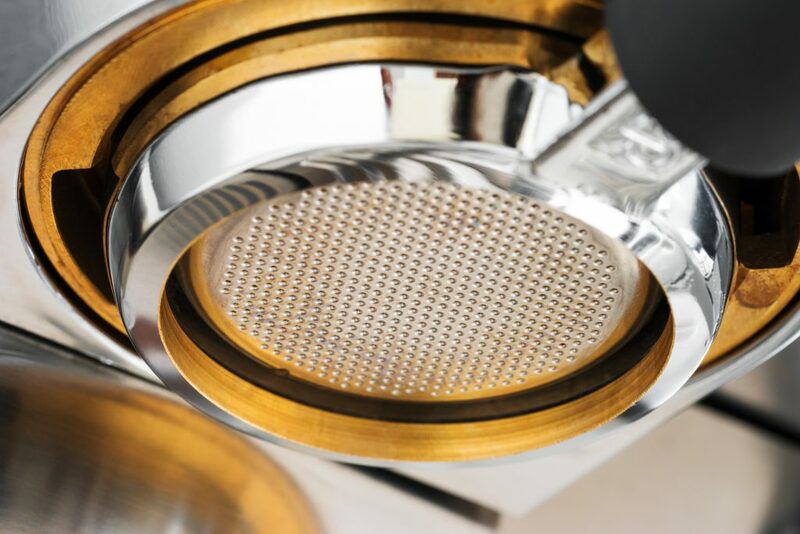 It’s a portafilter that has no bottom, so the coffee pours through the mesh lining rather than being funneled down into a small hole like on a normal portafilter. The naked portafilter looks fantastic and has a couple of other interesting uses that I’m about to go into. In this article, we’re going to delve into the specifics of what a naked portafilter is and look at whether it’s worth buying one or not. These little devices are a hot topic right now, a contentious one too. So let’s start! Let’s first remind ourselves what a portafilter is. Only found on espresso machines, a portafilter comprises the basket where you place your puck of ground coffee and the handle which you use to secure it onto the grouphead. Here’s a picture. Ground coffee is placed into the basket of the portafilter. The coffee is tamped and then the portafilter can be locked on to the group head of the espresso machine. Here’s a portafilter that has been screwed on. Once the portafilter is clipped on, hot pressurized water is forced through the portafilter where it interacts with the coffee. The resulting espresso drips down through the spout into the cup below. 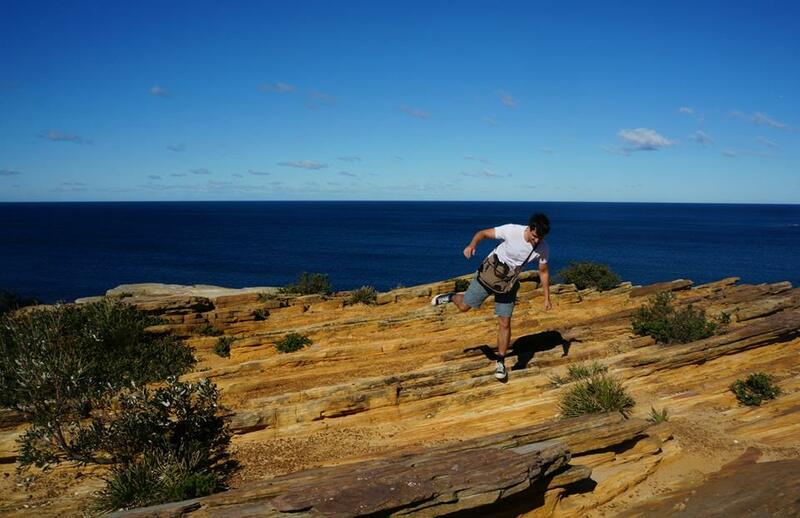 Here’s one in action. A naked portafilter is a portafilter that doesn’t have a bottom or a spout. It can also be called a bottomless portafilter. Here’s a picture of one. Notice it has no chute for the coffee to leave from. In a normal portafilter, the coffee drips through the spout. With a naked portafilter the coffee kind of ‘gloops’ down into a drip that should form at the center of the bottom of the portafilter. I know ‘gloop’ is probably not the technical term, but take a look at this photo of a naked portafilter and tell me it’s not glooping! What Are The Advantages Of Using A Naked Portafilter? 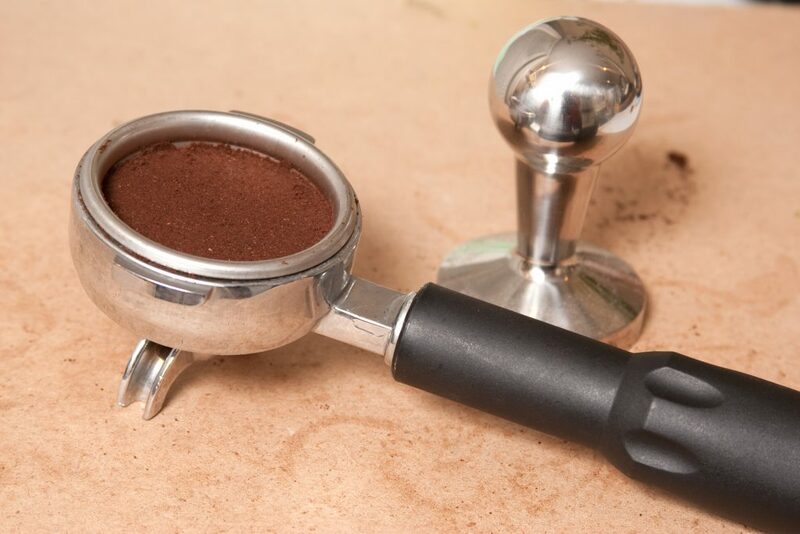 Tamping is when you pat the ground coffee into the basket in your portafilter. A good tamp requires more care and precision than you might think, and the quality of the tamp affects the quality of the espresso. 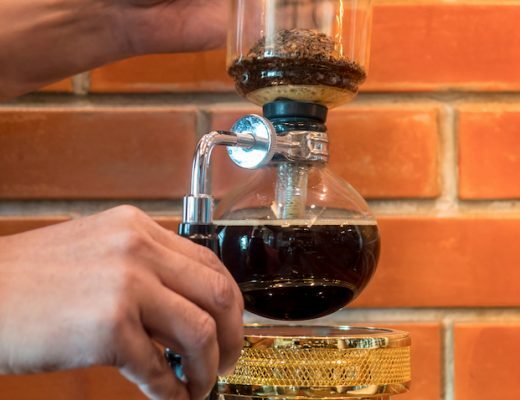 Normal portafilters, by design, force the coffee to emerge from the center of the spout which mitigates the worst of a bad tamp because the coffee will still get into the cup. A naked portafilter does not, and in fact will shoot the water out at crazy angles if you’ve not done a good job with tamping. This is super useful to baristas – particularly inexperienced ones – as it gives them direct feedback on whether they have tamped well. Perfect drip coming straight down the middle? Kudos! Spurts of espresso being fired around your kitchen at ridiculous tangents? Well… at least you know what to improve. 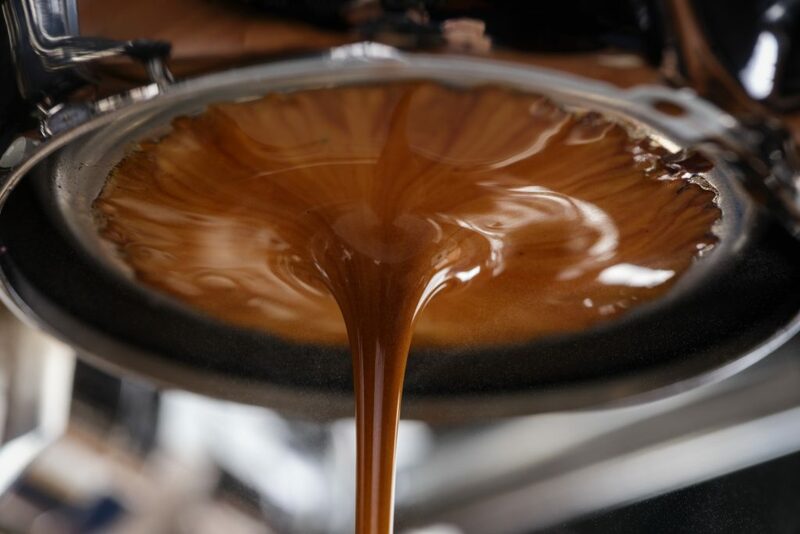 Watching the sweet, dark brown espresso drip down through a naked portafilter really is a gorgeous sight. Need any more proof? Check out this video. Despite this massive list of advantages I’m writing (ok, decently sized list), I would hazard a guess that by far the biggest reason for people using a naked portafilter is that it looks great. If you’ve hung around a few Third Wave coffee houses then you’ll know that aesthetics are almost as important as the quality of the coffee (sometimes more important, sadly) and having a gorgeous silky brown display of espresso pulling that simultaneously shows off that you know what you’re doing is a real draw for some. There are those who use a naked portafilter and swear that it makes a big improvement to the taste of the coffee. Angry blog posts have been written and some heated internet conversations have been had. Given the lack of consensus, I’m going to speak personally. I’ve used naked portafilters and I don’t notice a difference in taste. That said, I can’t say I’m too experienced with them, and anyway, I’m just a weird internet guy. You may want to try for yourself. A notable advantage of using a naked portafilter is that removing the spout leaves more room on the tray of your espresso machine. 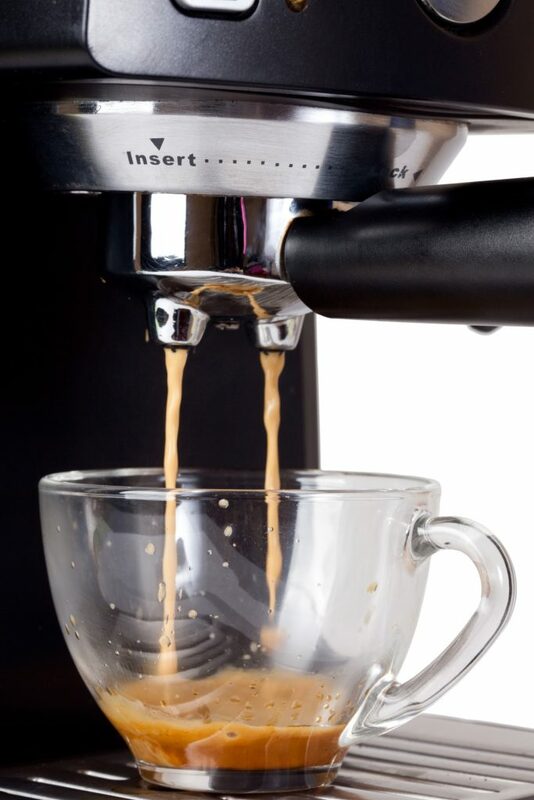 If your espresso setup means you have to mess about with transferring your coffee from small cups to big cups, this might be a good option for you. Another simple one but a practical one. Naked portafilter are easier to clean than regular portafilters. The lack of a bottom makes it easier for water to rinse through the device, helping your setup be a little cleaner. Is it starting to sound good yet? What Are The Potential Disadvantages Of Using A Naked Portafilter? I know you’ve been checking out those baristas down at big business coffee chain #48592. I know you watch them as they prepare the trademark roast and use the industrial sized machine and add the organic almond milk that you love. You don’t make it obvious, just watching out of the corner of your eye. But you watch them. I know. 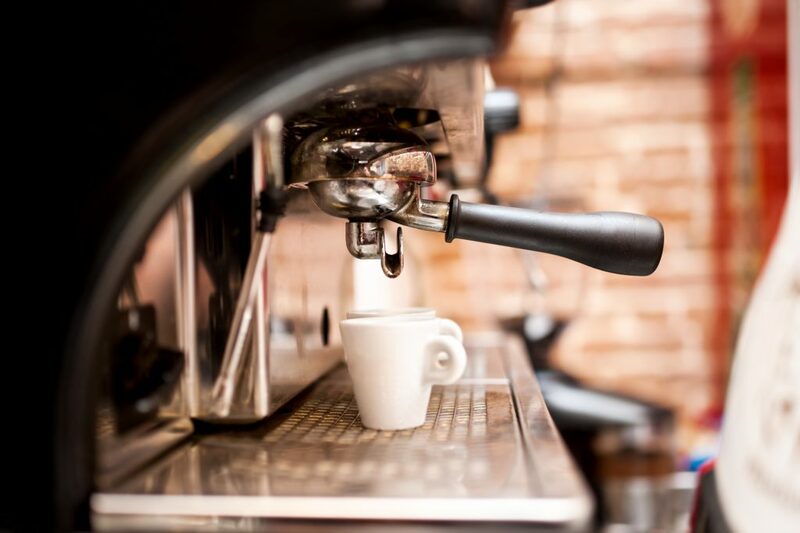 Coffee shops will have large machines capable of performing Herculean feats of coffee making. Machines that would humiliate your little kitchen top espresso machine. But don’t be too upset. 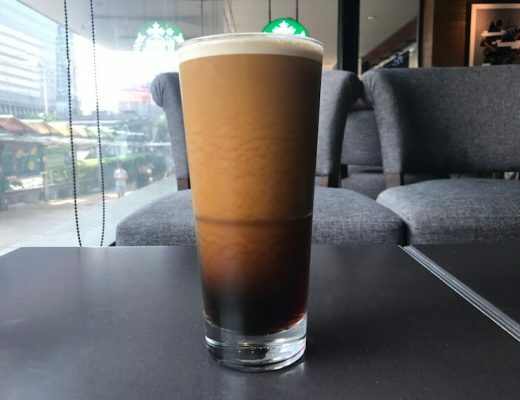 When you see a barista pouring a double, all that’s really happening is the spout from the portafilter is split into two – that’s where the two shots come from. It’s still the same coffee. So when you have a naked portafilter that doesn’t have a spout, you lose the ability to pour two espresso shots at once. It’s considered by some to be a weakness of using a naked portafilter. I’ll leave it up to my extraordinarily handsome/pretty reader to decide what it is for them. Is It Worth Getting A Naked Portafilter? My personal opinion is that it doesn’t make as much difference as people claim it does. I don’t own one for my personal espresso machine at home and I don’t have any intention of buying one. On the other hand, I do enjoy using them when I get the chance. And there’s one thing we can all agree on… it does look damn cool! Take a look at the advantages and decide for yourself. It’s a personal thing. 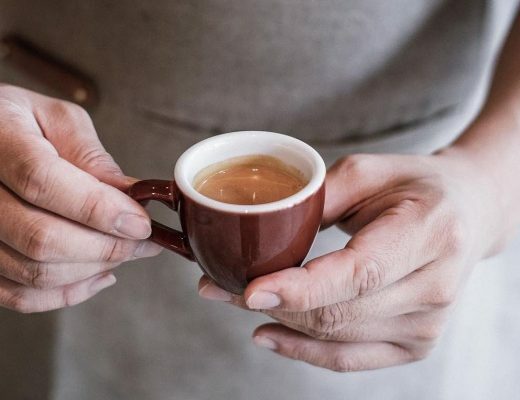 For instance, I know someone who worships their naked portafilter – not because of taste or improved coffee – but because they can finally pour a shot of espresso into a regular cup, rather than using a small cup to transfer it! If that sounds good, take a look at the latest available naked portafilters on Amazon. Do you have a naked portafilter? If so, I’d love to hear your opinion.